Having trouble finding brand specific exhaust parts for your C4 Corvette? Looking to upgrade to a true dual system with a REAL x-pipe? Look no further! 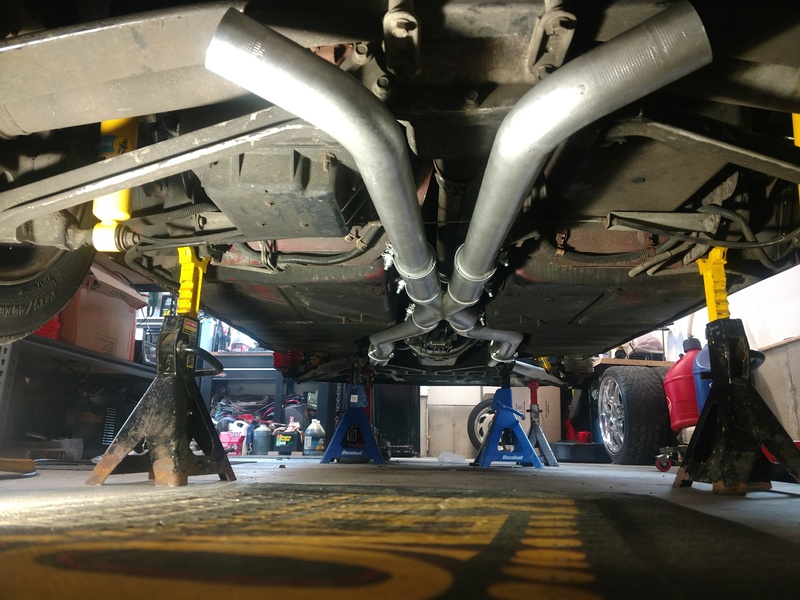 This system will allow you to hook up to most long tube headers back to your existing mufflers. Comes with clamps. *Hangar is for 84-91 cars. Cut off or leave on for later models. 92-96 owners will need to add their own hangar if they choose to run one. *Factory X-brace on convertibles my interfere. You may have to dimple exhaust tubes for clearance. You may check for fitment and return up to 90 days later. However, reviewer below as of 3-1-2019 stated there was not much interface, if any. 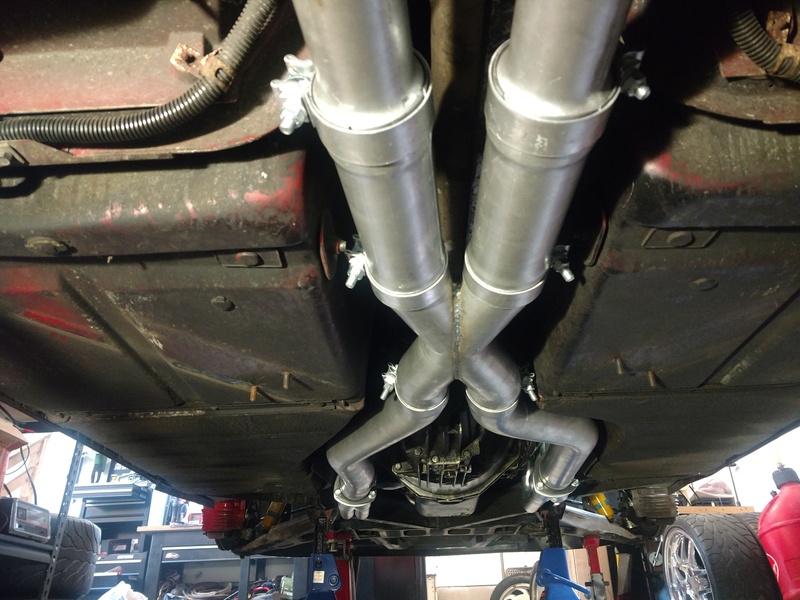 So the install is almost done, im just working out the mufflers now. All set up to the axle. Just wanted to let you know the install of your pipe kit was a breaze. Going with ball and socket collectors was a huge help in hooking up to your kit, because of the added flared flange to your slip pipe put me about 2" down stream but easy correction and a great fit. I haven't tried the x member yet but it's going to go on with little effort. Everything fits like a glove and it tucked up nicely. Thanks again for getting me this kit fast. Loving the install so far. Can't wait to hear it and drive it in the next few days." 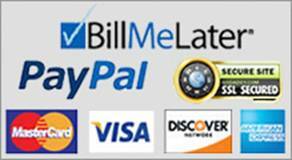 Click the button below to add the 84-96 Corvette dual exhaust with x-pipe with Hi Flo Cats to your wish list.